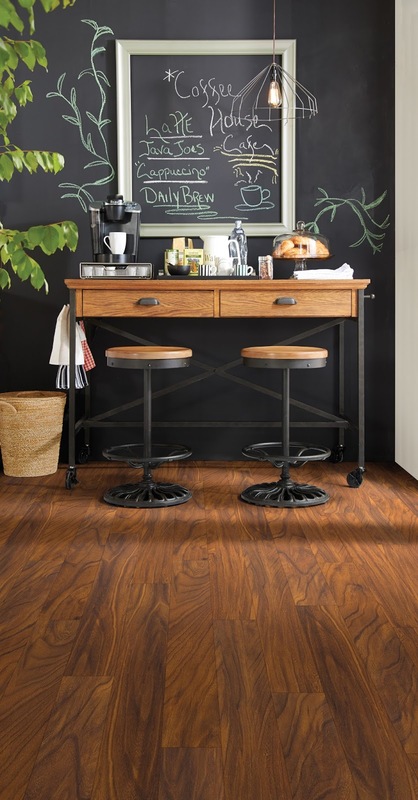 When a customer visits our Indianapolis flooring store wanting a hardwood floor for their kitchen or basement, we are now able to show them a flooring option that meets their desire for the beautiful look of wood but in a floor that is strong, durable, flexible and waterproof. It might just be the perfect floor for every level and room of your house. 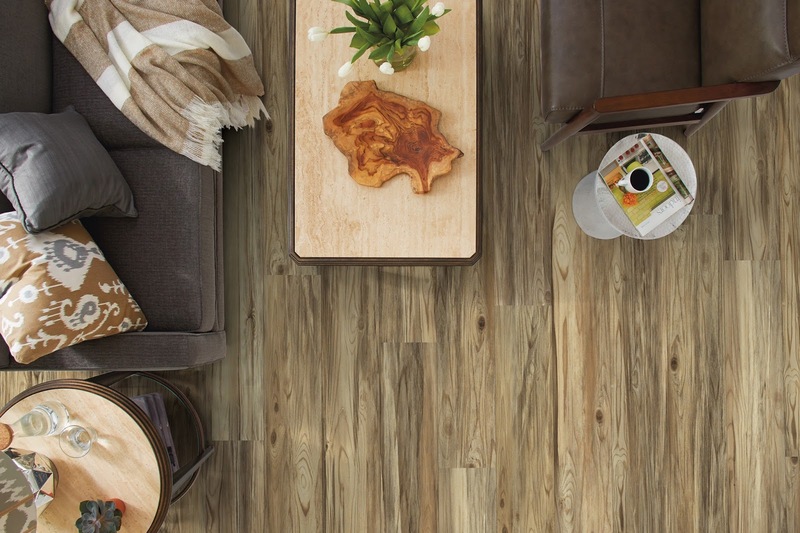 Using high-definition printing for the top layer, this new type of flooring looks and even feels like genuine tile or hardwood floors. We're finding it an excellent alternative to hardwood flooring for many of our customers who want hardwood flooring in a room that isn't ideal. Hardwood floors need an even subfloor and aren't the best options for rooms where water or humidity damage is present. Floorte resilient luxury flooring can be installed practically anywhere and its locking system installation makes it easy to install and waterproof. Floorte’s waterproof qualities make it ideal for high-moisture areas like basements, bathrooms, and mudrooms. “We’ve been amazed at Floorte’s waterproof characteristics even after weeks and weeks of testing in the water,” says Drew Hash, Shaw's director of hard surfaces. Learn more about Shaw's Floorte resilient luxury vinyl collection. You might think you're limited to a few wood grains and shades with the resilient wood-like tiles. Think again! Available in designs that mimic all top wood species and shades, you have numerous options with resilient luxury vinyl tiles and planks. Stop by our Indianapolis flooring store to see for yourself! Schedule an appointment with one of our free design consultants and tell them you're interested in our new resilient luxury flooring. They'll have samples pulled and ready for you to examine as soon as you arrive. We're excited to have this new flooring option for our customers. Resilient luxury flooring fits with our philosophy of offering the best flooring options for your home, lifestyle and budget. Family-run. Customer-focused. Affordable options. Most up-to-date products. That's the Kermans' Advantage.